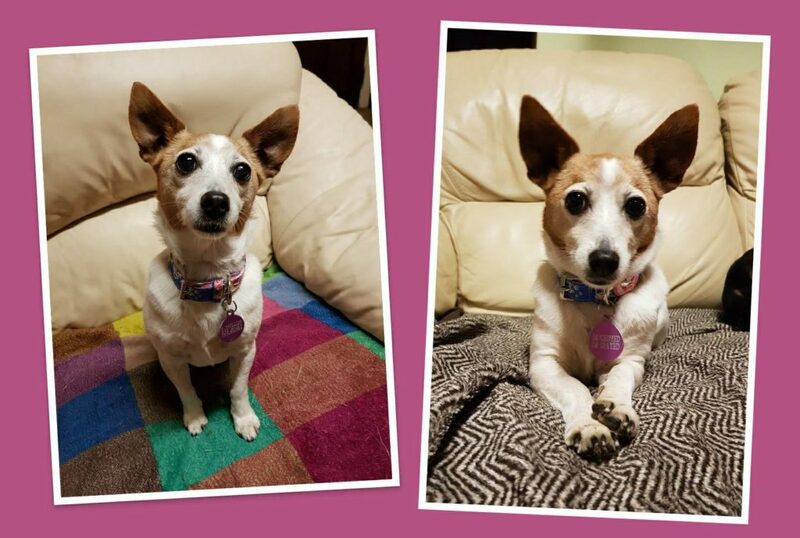 Jodie is a teeny miniature jack Russell. She is an uber affectionate girl who’s favourite thing is curling up on her human’s lap. Jodie is looking for an adult home where she can be the center of attention and get lots of company and cuddles. She’s 9 years old, is cat friendly and is fine around most dogs, once they are happy to give her her own space. Jodie is house trained, crate trained and lead trained. She is a low to medium energy girl who would be happy with a short daily walk. Jodie has been spayed, micro-chipped and vaccinated. She will be ready for aodption in the next few weeks.